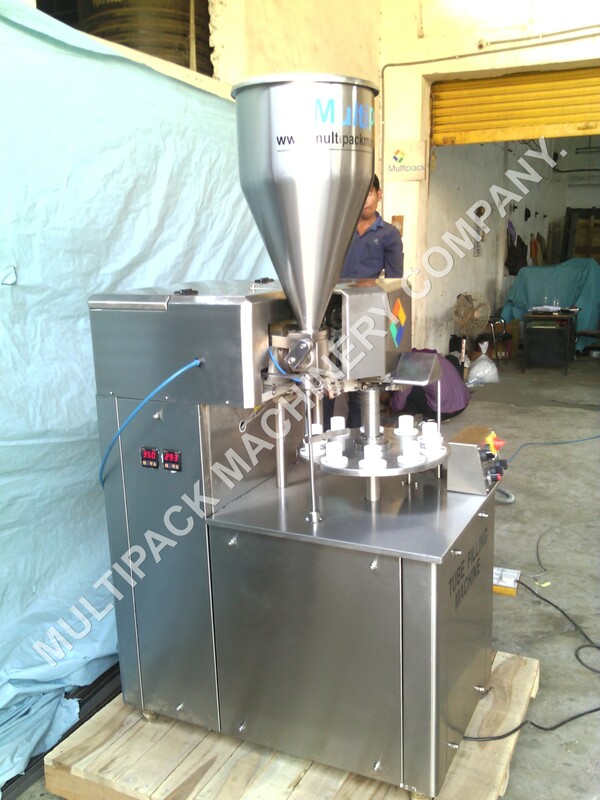 This machine can fill cosmetic, cream, ointment, lotion, toothpaste, shampoo and viscosity material into plastic tube, laminated tube or Aluminum tube, then to seal. With 12 stations and matching with manipulator, the machine is able to meet different type of tail folding, sealing requirements of plum bum tube, Al tube, and plastic tube and laminated tubes. It is a multi-purpose machine. Servo control makes it precise and convenient to adjust the filling amount by touch screen.According to the different length of the tube, height of tube chamber can be adjusted easily by motor. With external reversal feeding system, makes tube charging more convenient and tidy. 6. Photo-electronic, electric, pneumatic integrative control is applied with the machine. No tube, no filling. It gives an alarm when low pressure occurs. The machine stops automatically if tube error or open the safety door. Three-layer jacket instant heater with inside air heating, it won't damage the pattern on outer wall of tube and achieves firm and beautiful sealing effect.